Stanley Watkins is the Founder and Owner of City Strata Consulting, LLC with over 40 years of experience of improving and sustaining neighborhoods and communities. He has a wealth of experience in urban planning, housing and community development, and helping organizations better engage and work in neighborhoods and communities. 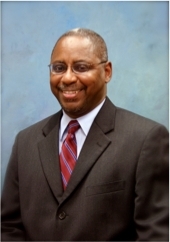 As an active member of the Charlotte community, he served in the City of Charlotte Planning Department for over two decades with leadership roles in long-range and strategic planning divisions.